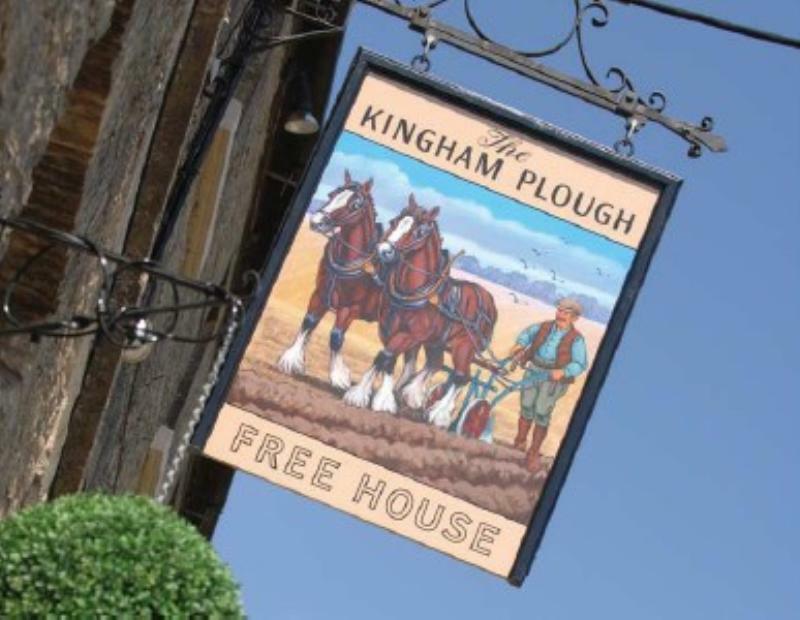 The Kingham Plough is set in a beautiful 350 year old building opposite the village green in the quintessentially English village of Kingham, once voted England's favourite village by Country Life Magazine. The bar area with beams, exposed brickwork and open log fire leads into the much acclaimed restaurant. 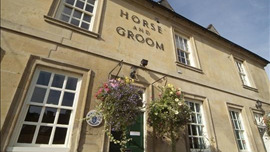 The Kingham Plough is now under new ownership, Matt and Katie Beamish who have worked with well respected chefs such as Raymond Blanc, Jamie Oliver and Fergus Henderson in hotels across the country. The kitchen under the leadership of Iain Dixon is a very keen advocate of local produce and there are daily deliveries from local fruit farms, small holdings and game estates. Typical dishes on the carte kick off with starters in the shape of gin cured salmon, apple, radish and buttermilk or maybe chicken liver parfait, grape and mushroom. Main courses herald Aylesbury duck with wild mushroom, leek and duck crumpet or from the sea, wild stone bass, beetroot, pecan and horseradish. Desserts offer satisfaction for a sweet-tooth finale, witness Valrhona araguani chocolate, verjus, fennel seed and sesame or forced Yorkshire rhubarb, cardamon, and blood orange meringue. There's a well researched wine list, many available by the glass together with locally produced drinks from fruit juices, scrumpy and ales. There are seven elegant bedrooms available if you would like to extend your stay.